I'm all for a glass of perfectly chilled rosé or a goes-down-too-easy collins on a balmy summer night, but sometimes you just want to sip on something boozy. You want a drink that you can take your time with. A drink you can sit with - get to know. Since my herb garden is currently spilling over with thyme, I decided to make a thyme syrup to give this old fashioned riff a brighter, herbaceous profile, but any fresh herb would work well here. 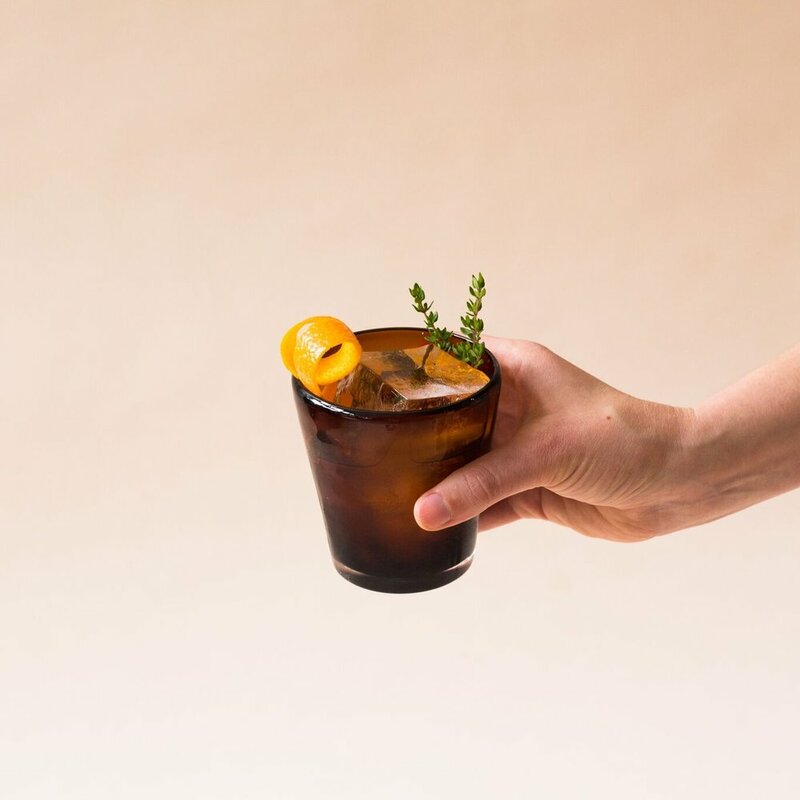 Add your whiskey, thyme syrup, and bitters to a rocks glass. Add a few ice cubes (the bigger the better - you could even use one large ice cube if you're feeling extra fancy) and give it a stir. Be patient with this step - you want the outside of your glass to feel cold to the touch and the ice to have done its dilution duty. Take your orange peel and squeeze the oils from the skin side over the top of your drink and drop the peel in your cocktail. It should smell intensely of orange when you go to take a sip. Heat all ingredients in a saucepan over medium-low heat until sugar is fully dissolved. Let the thyme steep until the syrup is cool. Strain out the thyme sprigs and store in the fridge. Syrup will keep for two weeks.